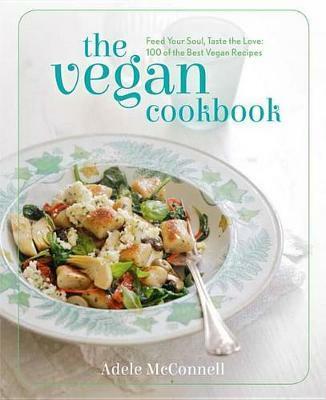 An inspired collection of vegan recipes that makes the most of fresh, plant-based ingredients for healthy everyday meals full of colour and flavour. This brilliant book brings a fresh, inspired look to plant-based food, showing just how satisfying, dynamic and undeniably delicious contemporary vegan cooking can be. The beautifully photographed recipes make the most of a wide variety of fresh ingredients, drawing inspiration from cuisines around the world to help you create healthy, balanced meals effortlessly. Renowned blogger Adele McConnell proves there's no need to sacrifice flavour to eat animal-free. She creates her stylish, mouth-watering dishes with innovative techniques and nutrient-packed ingredients, including whole grains and protein sources such as pulses, nuts, tempeh and tofu. From Mushroom & Roasted Beetroot Polenta Nests to Chinese Spring Onion Pancakes with Ginger Dipping Sauce, you'll find dishes that will tempt both part-time and fully-committed vegans alike. With 100 inspiring, easy-to-follow recipes, The Vegan Cookbook isn't merely about creating great meat-free food. It's about producing sensational dishes everyone will want to make time and time again. Adele McConnell is the founder of the highly successful vegan food blog, vegiehead.com, and was hailed as the winner of the prestigious "Vegan Food Blogger Award" by The Vegan Woman 2012. Adele loves sharing her passion for vegan food. She runs cooking classes, and has also set up the YouTube Vegie Head channel, where fellow foodies can watch her inspiring, easy-to-follow cookery demonstrations online.